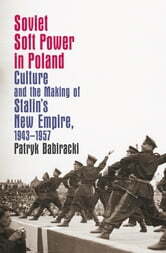 Concentrating on the formative years of the Cold War from 1943 to 1957, Patryk Babiracki reveals little-known Soviet efforts to build a postwar East European empire through culture. Babiracki argues that the Soviets involved in foreign cultural outreach tried to use "soft power" in order to galvanize broad support for the postwar order in the emerging Soviet bloc. Populated with compelling characters ranging from artists, writers, journalists, and scientists to party and government functionaries, this work illuminates the behind-the-scenes schemes of the Stalinist international propaganda machine. 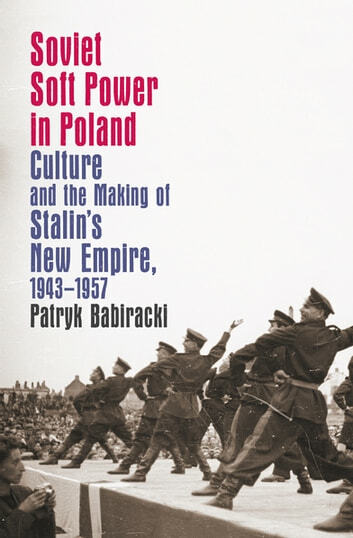 Based on exhaustive research in Russian and Polish archives, Babiracki's study is the first in any language to examine the two-way interactions between Soviet and Polish propagandists and to evaluate their attempts at cultural cooperation. Babiracki shows that the Stalinist system ultimately undermined Soviet efforts to secure popular legitimacy abroad through persuasive propaganda. He also highlights the limitations and contradictions of Soviet international cultural outreach, which help explain why the Soviet empire in Eastern Europe crumbled so easily after less than a half-century of existence.